Nikon and Canon chose to take the wraps off their new full frame mirrorless systems in advance o Photokina. Their news made it certain that this year’s show would be about the rise of the mirrorless system camera, a revolution ten years in the making since Panasonic Lumix launched its first Micro Four Thirds camera, the G1, in 2008. This has naturally cast doubt on the future of the DSLR. Of the DSLR brands, only Pentax has yet made the mirrorless move. Canon and Nikon say they have no plans to end production of DSLRs, but there were similar noises from Olympus, Sony and even Sigma in the past. They all went mirrorless at the expense of their DSLR systems. You could say it’s out with the old and in with the new and not just DSLRs versus mirrorless; we’re attending the last of the biennial format Photokina shows – we’ll be back in Cologne next May for the new annual event. Today was the press preview day. Out in the huge exhibition halls crews are still busily assembling the booths that will receive thousands of trade show visitors on the following day. For the hundreds of press it’s a traditional opportunity to learn what the big players in the camera industry have to offer at Photokina. 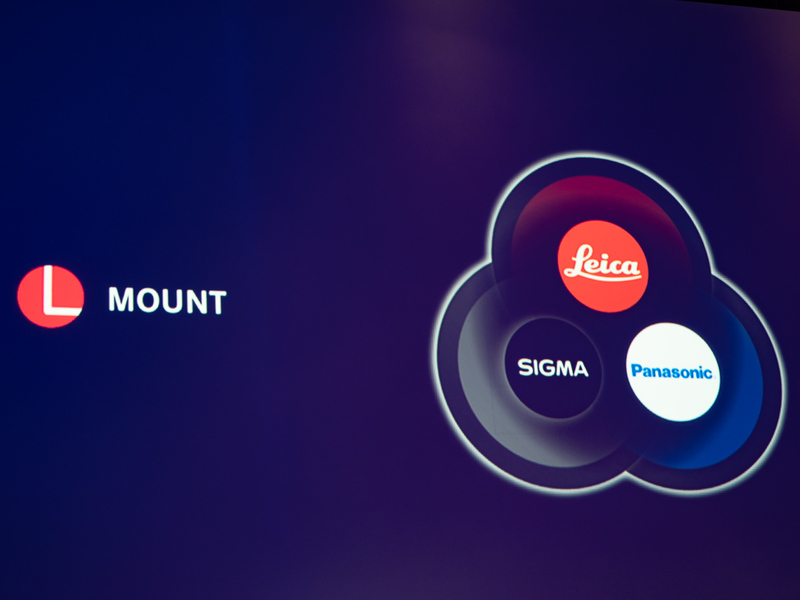 We’ve attended events held by Leica, Sony, Panasonic Lumix, Fujifilm and Olympus. Sony didn’t really have much to day beyond some insights into its reception of increased competition in the full frame and mirrorless markets and Olympus had no new products to share with us, hinting that their news will come next year when they mark the hundredth anniversary of their company. On the following pages we’ll share our experiences attending the Leica, Sony, Fujifilm and Panasonic press conferences at Photokina 2018.